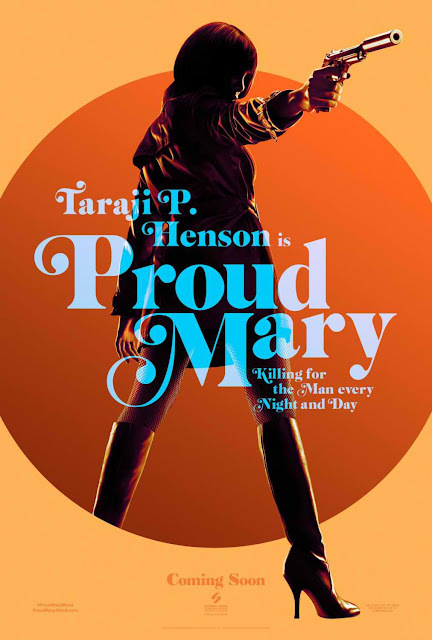 Columbia Pictures has just unveiled the nostalgia-inspired poster of its new action thriller Proud Mary starring Oscar-nominee Taraji P. Henson (The Curious Case of Benjamin Button, Hidden Figures). Check out the one-sheet art below and watch Proud Mary in Philippine cinemas in January 2018. Killing for the man, every night and day, Mary (Henson) is a hit woman working for an organized crime family in Boston, whose life is completely turned around when she meets a young boy whose path she crosses when a professional hit goes bad. Babak Najafi (“London Has Fallen”) helms the film which co-stars Billy Brown, Margaret Avery, Xander Berkeley, Neal McDonough, and Danny Glover. Proud Mary is distributed by Columbia Pictures, local office of Sony Pictures Releasing International.